Are you looking to make your visit one to remember? 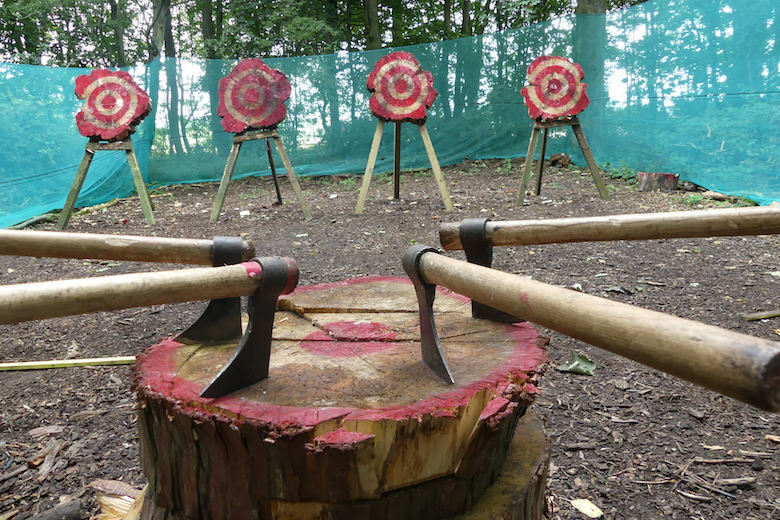 If so then our Quad 30 and Axe Throwing offer is perfect for you, all for just £59pp. 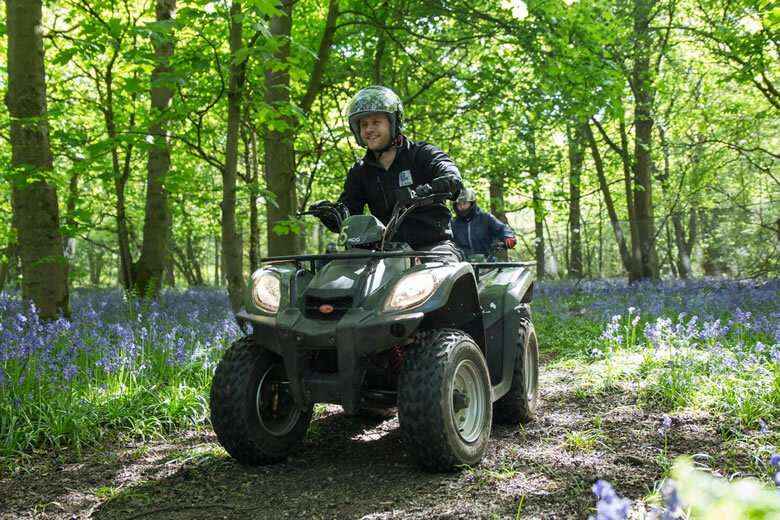 The perfect way to get outdoors and sample the different types of terrain we have to offer and see how much these machines can really handle. This package consists of 30 minutes ride time. 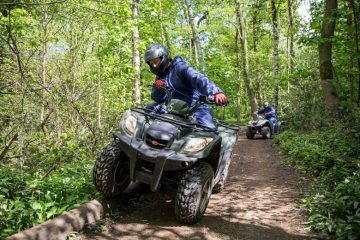 Don't be fooled, this is plenty of time and will see you taking on most of our 70 acre woodland which includes hills, fast straights, technical corners and much more. 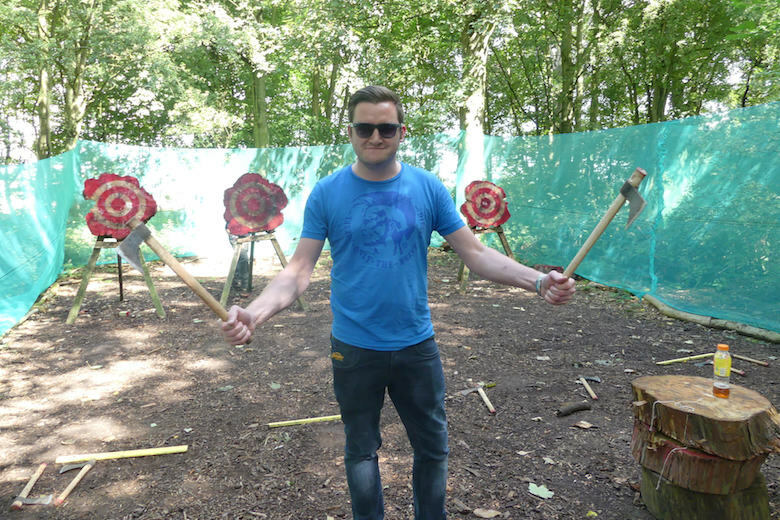 Increase the fun and upgrade to our 45 minute session for just £10pp. Are you looking for something really unique to try? Then boy do we have the activity for you. 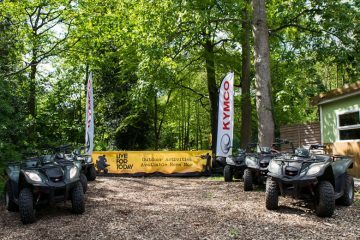 The latest activity to join our Premier Venues and it’s already proving to be a real winner for many. 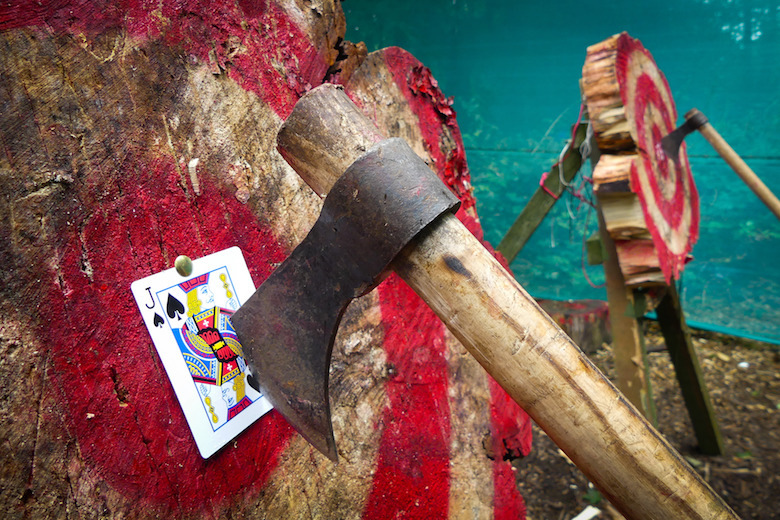 Come on down and test your skills hitting our target with your very own Tomahawk axe. 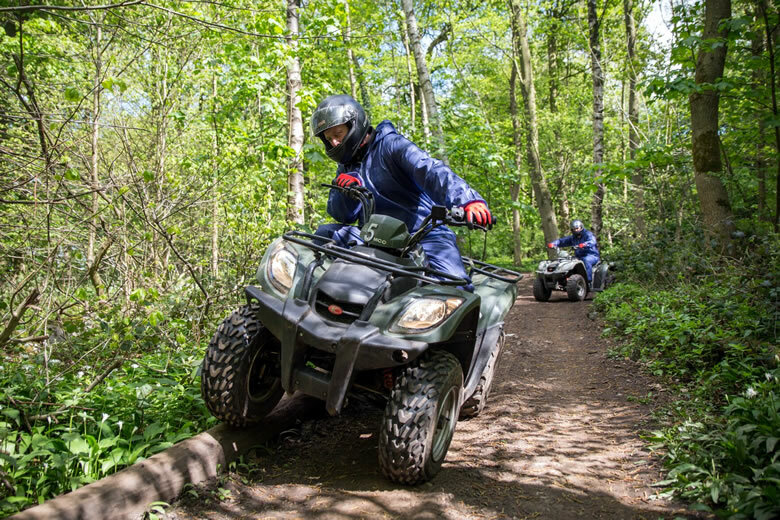 Whether you’re a complete beginner or want to improve your current skills, our fully trained instructors will be able to help you whilst ensuring you have 100% fun at the same time. 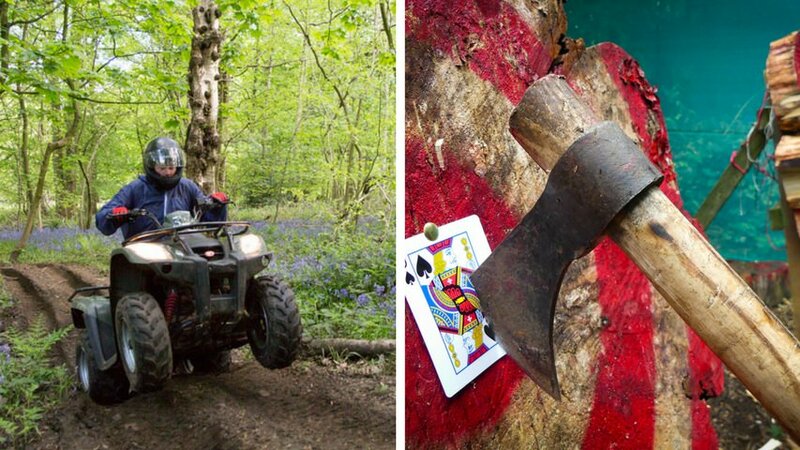 Booking online couldn't be easier, just select the first activity and then 'Make Another Booking' and add the second. An automatic discount will then be applied. If you have any problems then don't hesitate to Contact Us directly. Why Choose Live For Today? Of course there are many activity centres in the UK, however we think we are the best because of the unique games and competition all our activities include. Whether you are joining us for the Stags last weekend of freedom or for a birthday celebration, we will ensure your special day is one to remember. 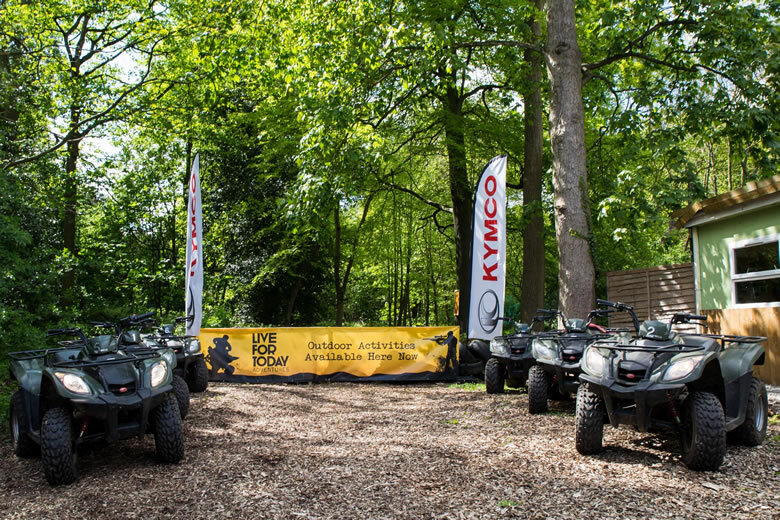 Our Equipment is also serviced on a weekly basis, which means not only is it checked to be safe, but it will also work to its full potential and reliably on the day of your event. If you’re looking for some extra re-assurance then please have a look at our Trip Advisor page where you can see recent Reviews and Pictures!